Have you ever wanted to focus your planets? Create an Agri World to feed your people, a Fortress World on the edge of your space or a planet-wide city? 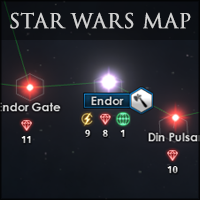 This mod provides several types of dedicated paths for colonies, meant to give each planet a unique feel. The ability to focus and unfocus worlds. 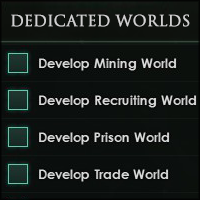 Mining worlds gain the Stripped World modifier, preventing it from becoming an Agri World or a Cultural World. 2 New Megastructures: The Ecumenopolis and the Cybernetic Core. Taking four stages over approximately 10 years to construct and 14,000 minerals, it provides a planet and empire wide modifier when completed which significantly boosts the planet in all aspects. The Cybernetic Core has similar stats but is only available to Machine Empires and vice versa. Expanded unique features for each type. 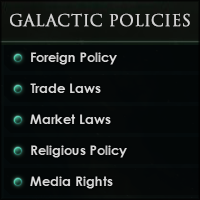 Consequences for losing certain planets such as Government Capitals. The longer a world remains focused on one type, the more potent its bonuses are and are lost if changed. No changes to vanilla files, should be compatible will all mods and works with saved games. Thanks for the update! I have always enjoyed this mod! This was one of the best, fingers crossed ot will be worked on. 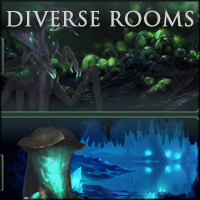 A lot of the features seem to have made it into the base game, so it might make more sense to build upon that implementation instead of trying update this mod. 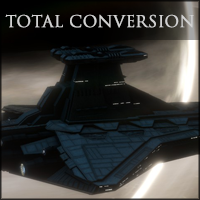 To put this another way, your mod was good enough that it got incorporated into Stellaris, congratulations! Cool, thanks fort the response. It may be updated after 2.2 but don't expect it soon. 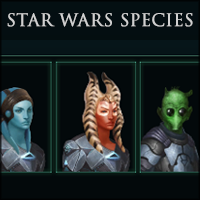 Will this mod be updated anytime soon? Looks pretty good and I'd love to try it out. Does the AI use these bonuses too, or only players get the benifits?